Medically assisted treatment (MAT) is an essential part of recovery. It’s usually recommended at the beginning of treatment. It’s also known as drug detox or alcohol detox. Medication-assisted treatment treats all types of addictions, from an opioid addiction to alcohol dependence. In 2014, 22.5 million Americans aged 12 and older needed this type of treatment for an illicit drug or alcohol use problem. Understanding how the medications used in MAT treat drug abuse is vital to a successful recovery. Each recovery center will offer different types of medications. Patients should learn about the drugs they need and what they do. What Does Medically Assisted Treatment Do? Manage withdrawal symptoms. Medications suppress or reduce the intensity of withdrawal symptoms during detoxification. Patients who do not receive medical detox tend to resume their drug use. In fact, medications are so efficient and effective that they’re used 80% of the time. Prevent relapses. The medications can restore brain chemistry to normal levels. This re-establishes brain function and decreases cravings. Most medications that restore brain chemistry are designed for opioid use disorders and alcohol use disorders. Treat Co-occurring disorders. It’s not unusual for drug addicts to also suffer from mental health disorders. Substance abuse can cause mental illness, or it can happen independently from addiction. Treating co-occurring disorders at the same time is key to a successful recovery. Medically assisted treatment has several purposes. Each purpose targets a different part of sobriety. The right type of treatment in a recovery program can do wonders for drug addicts and alcoholics. They effectively treat substance use disorders and help addicts get sober. Acamprosate treats alcoholism and alcohol use disorders (AUD). They work by modulating and normalizing brain chemistry levels, particularly glutamate and gamma-aminobutyric acid (GABA). Both these systems become dysregulated with alcohol use. When alcohol consumption ceases, these systems enter a pathologic hyper-excitatory state. This state causes many alcohol withdrawal symptoms. Most alcohol withdrawal symptoms, like restlessness and anxiety, are prevented or reduced with Acamprosate use. The medication is prescribed in combination with counseling and social support. Patients can only take this prescription drug when they have stopped drinking alcohol. The medication will not work if taken by alcoholics who have not quit drinking yet. Acamprosate usually comes as a delayed-release tablet. Patients take the tablets three times a day at about the same time with or without food. The tablet should be swallowed whole. Patients should avoid splitting, chewing or even crushing the medication. This type of medication is often recommended for long-term medical detox. Patients continue to take it even if they don’t think they’ll start drinking alcohol again. 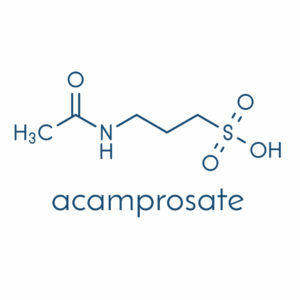 Acamprosate use can also come with some serious side effects like numbness in the hands, feet, arms, or legs. In these situations, contact a healthcare provider immediately. Those who are receiving inpatient treatment should talk to a nurse. While mild side effects are common, it’s rare for patients to react poorly to this drug. Overall, it’s pretty safe. Overdoses are not deadly. It can even cause respiratory depression, myocardial infarctions and cardiovascular collapse. The effects will kick in after 5 to 10 minutes of drinking alcohol. Due to the effectiveness of this medication, studies are looking at whether it can treat cocaine dependence. Aversion therapy is often used to treat alcohol and drug use disorders. This type of addiction treatment is a form of psychological treatment. Patients will experience some form of discomfort if exposed to certain stimuli. This type of treatment conditions the body to associate certain stimuli with negative feelings. Two different types of medication therapies treat opioid addiction and alcohol dependence. They include antidipsotropic and effect-altering agents. Medications are not the only tools used in aversion therapy. Other forms of aversion therapy include electrical aversion and covert sensitization. Covert sensitization involves using mental images to associate negative feelings with undesirable habits. 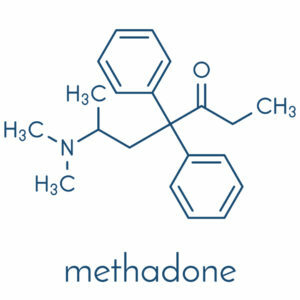 Methadone is used to treat opioid addiction. It is an opioid agonist that has similar effects to opioids like heroin. The only difference is that it is much weaker, so it produces milder side effects. In the past, doctors prescribed it as a painkiller. This medication is used in Opiate Replacement Therapy (ORT). Basically, this type of addiction treatment substitutes a strong opioid, like heroin, for a weaker one. The medication attaches to opioid receptors in the brain and blocks drug addicts from getting high off of opioids and opiates. Methadone comes in tablet, powder or liquid form. The tablet form is the most popular option. Patients normally take the medication several times a day to ward off opioid withdrawal symptoms. The dose will differ from patient to patient. An appropriate dose is calculated based on the patient’s weight, height, age, among many other factors. The treatment facilities will need to watch each patient’s progress to determine whether the dose is appropriate or not. Patients who decide to take methadone should know that this medication is addictive. Since it has similar properties to opioids, patients can develop dependence and tolerance to the drug. As patients progress through recovery, they will need to wean off of methadone slowly. Those who do not taper off of the medication properly may develop a secondary addiction. The secondary addiction will also need addiction treatment, as it may come with a whole range of withdrawal symptoms. Naloxone doesn’t treat withdrawal symptoms per se. It’s an opioid-reversing medication that reverses the effects of an opioid overdose. Most detox centers will have this medication handy in case patients relapse. This medication is an opioid antagonist. It attaches to receptors in the brain to reverse the toxic effects of an overdose. Naloxone comes in several forms. It can be injected intramuscularly, subcutaneously, or intravenously. Intramuscular injections are the most common. This medication also comes in the form of an intranasal spray. Many opioid treatment programs incorporate naloxone. This medication is one of the most effective ones out there. It’s not only useful, but it’s easy to administer. Some drug addicts even carry naloxone with them, as some states give out these medications to drug users for free. The effects of naloxone should kick in within 30 minutes after administration. If you’ve administered naloxone to someone you suspected of overdosing, it’s still important that you get them immediate medical attention. Don’t hesitate to call 9-1-1. Only medical professionals can assess the situation. Naltrexone, also known as Vivitrol, is one of the newest medications used for opioid treatment. It’s also effective for treating alcohol use disorders. This medication comes in the form of an intramuscular injection. It’s given to patients once a month at about the same time. The monthly injection makes this medication extremely convenient. It’s highly recommended for patients in outpatient treatment programs. As an opioid antagonist, naltrexone also attaches to receptors in the brain. It blocks opioids and alcohol from affecting the brain. Patients start this medication once they are opioid and alcohol-free for at least ten days. They usually go through some other form of alcohol or drug detox first. Naltrexone has a high success rate and is often recommended for long-term alcohol detox or drug detox. One of the main benefits of this medication is that the dose doesn’t need to be altered. The same dose is recommended for all patients regardless of their weight, height or age. This means that doctors and nursing staff do not need to keep an eye on patients during recovery. 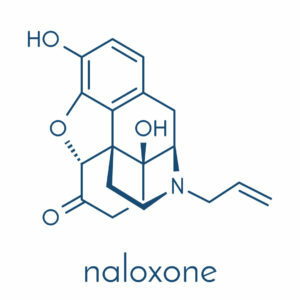 Suboxone contains both buprenorphine and naloxone. It is a medication used to treat opioid addiction. This type of medication is a partial opioid agonist. It works in a similar way to methadone. The only difference between Suboxone and methadone is that it has a “ceiling effect.” The drug will have an effect on the body only up until a certain dose. Past a certain dose, it is impossible for patients to feel any additional effects. This stops the medication from being abused. Due to the mechanism of action in Suboxone, this prescription medication is not as addictive. It is difficult for patients to develop any form of dependence or tolerance to the drug. This makes it a safer option than methadone. Suboxone is just as effective as methadone. Clinical trials have reported similar success rates. Suboxone treats patients addicted to short-acting opioids, like heroin. Patients start off by taking 0.5mg or 1mg tablets four times a day. The dose is upped the second day, and continues to increase until it controls and eases acute withdrawal symptoms. Most doctors recommend titrating the prescriptions as quickly as possible. Gradual titration can lead to higher dropout rates. Patients can also opt to take sublingual films. The recommended target dose for sublingual films is 16 mg/4mg. The maximum daily dose is 24mg/6mg. Addiction therapies incorporate various techniques to treat drug or alcohol addiction. It’s particularly useful for treating alcohol and opioid dependence. Most medications attach to receptors in the brain to restore its natural chemical balance. They increase the chances of a successful recovery. Patients with opioid, alcohol or any other type of drug addiction are less likely to relapse. They’ll also feel much more comfortable during recovery. If you’re interested in addiction treatment, contact one of our addiction specialists today. Our doctors will conduct a thorough assessment of your physical condition and mental health condition. The assessment will determine which medications used in MAT are most useful for your situation. We’ll walk you through the entire recovery process, so you know exactly what to expect. zOur treatment planning process will give you several treatment options to choose from. We tailor each recovery program to each patient. Our goal is to make the transition into recovery as smooth and hassle-free as possible.